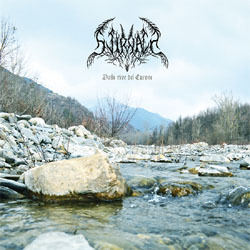 Italian atmospheric pagan black metal band Svirnath, the solo project of Frans will release its second full-length album, entitled “Dalle Rive del Curone” on February 1st, 2019, via Naturmacht Productions. All music is written and recorded by Frans, while the album was mixed and mastered by Robert Bromään at Naturmacht Studios. This new work is dedicated to the Curone creek and river, the land where the project was born. Melodic, atmospheric, with extended use of acoustic guitars, hailing Mother Nature “Dalle Rive del Curone” is the perfect Naturmacht release. It is already available for pre-order in their label’s web-store both in a 6-panel digipak edition CD and in a Vinyl LP limited to 100 copies.